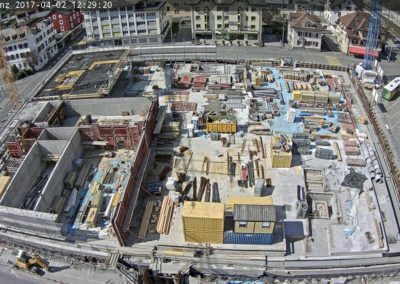 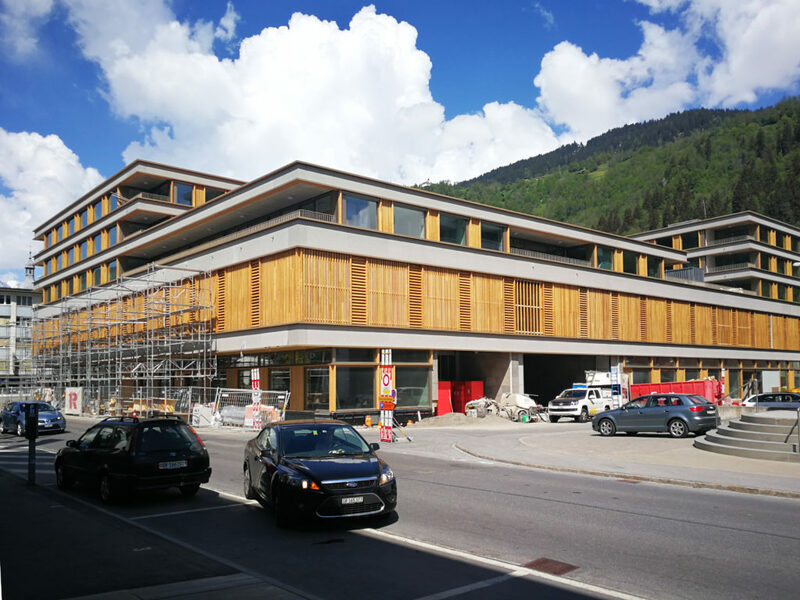 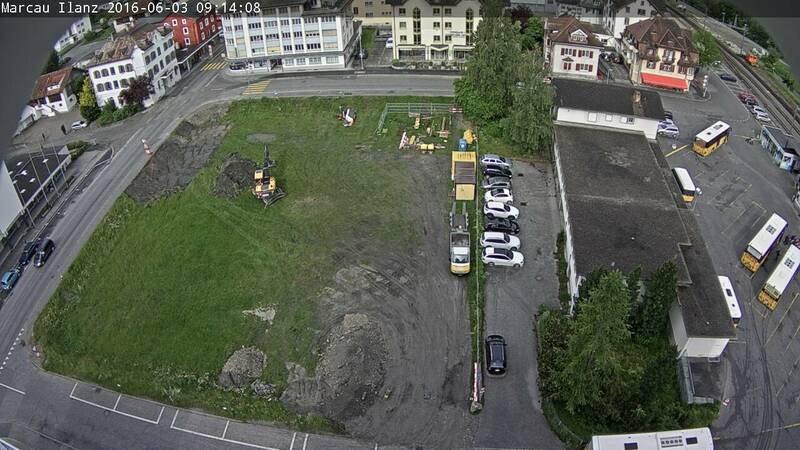 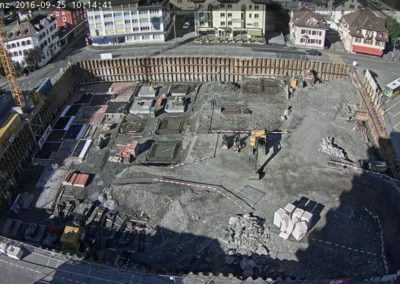 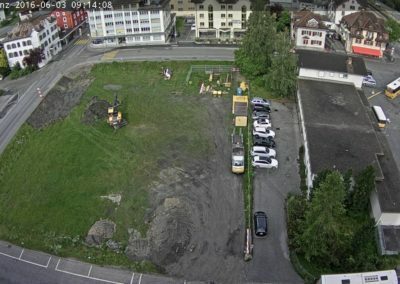 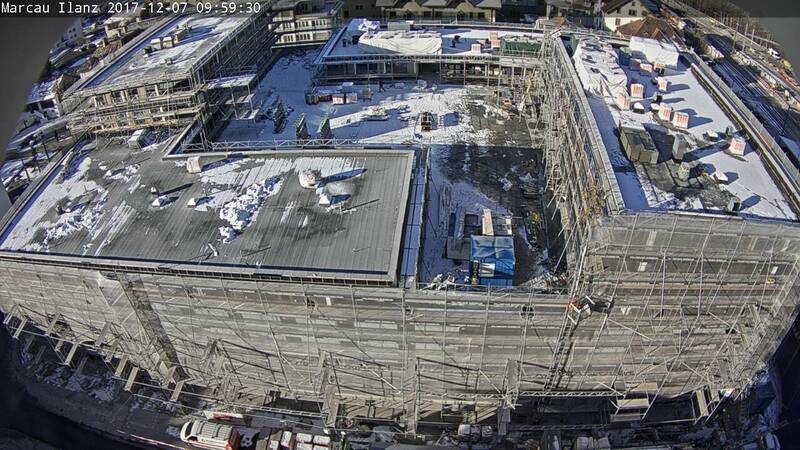 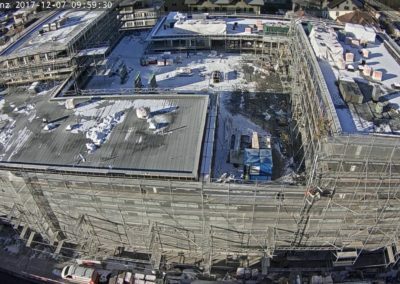 In the center of Ilanz, directly at the train station, the residential and commercial building “Marcau” is being built on the until now not overbuilt citizenmeadow and on the post office property after demolition of the existing post office building. 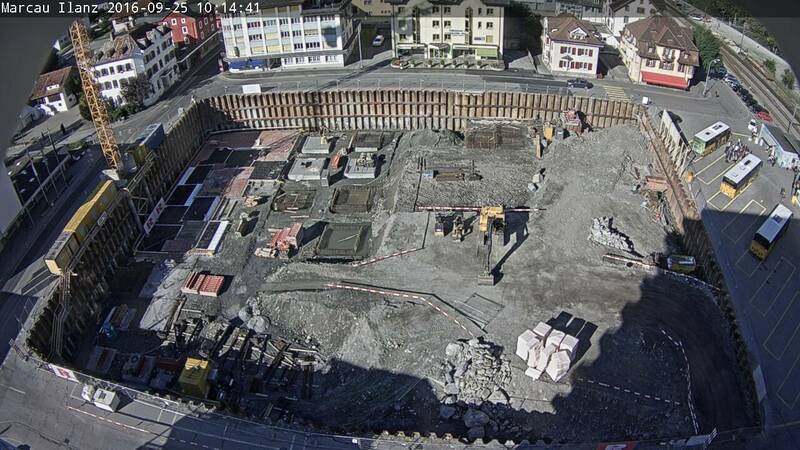 The project includes retail space for Swiss Post, a Migros restaurant and retail space on the ground floor. 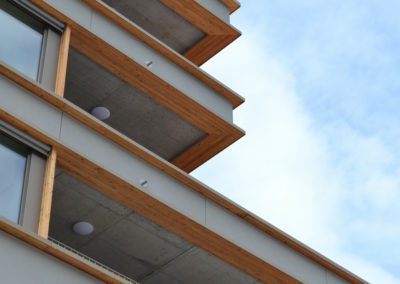 Offices and apartments are planned on the first floor. 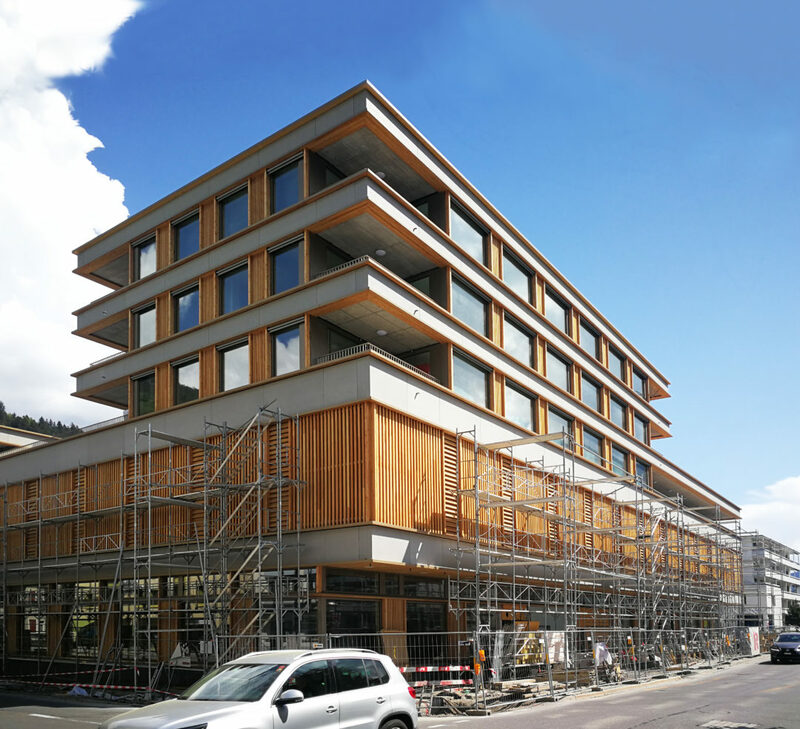 The building of the “Zentrum Marcau” responds with two large plinth floors and the staggered volume of the second and fourth floors to the requirements of use and the urban context. 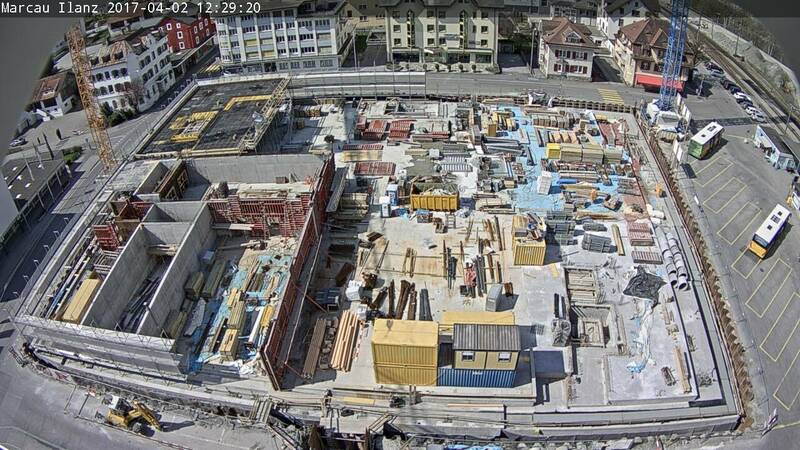 On the ground floor, the building jumps back from Bahnhofplatz and Glennerstrasse and defines generously covered entrance and lounge areas. 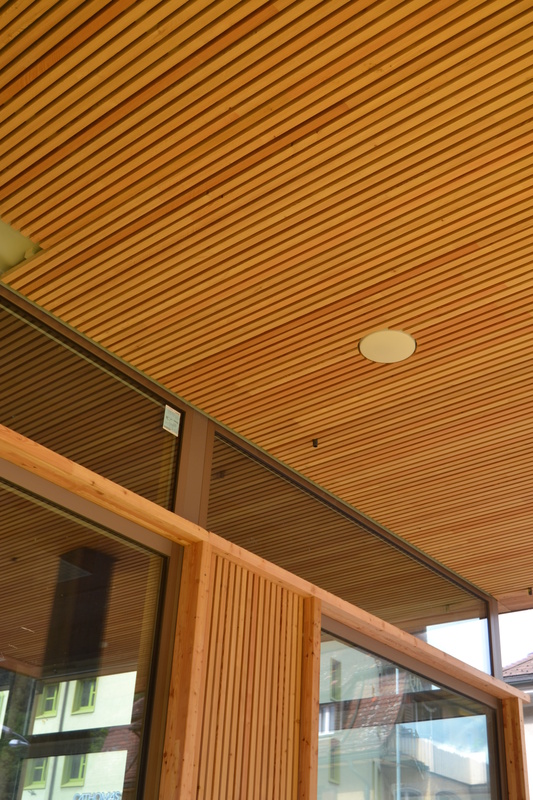 The office and residential floors enclose a shared courtyard on the second floor. 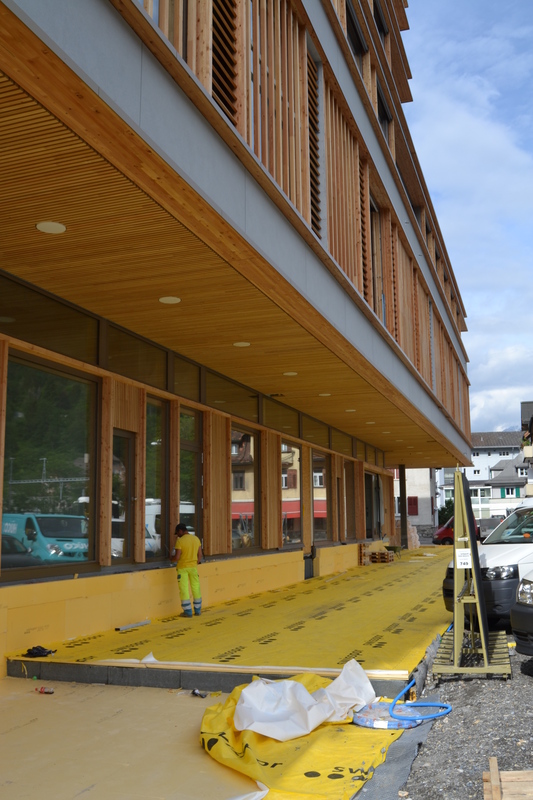 The wood-concrete façade orientates itself in materiality to the traditional economic and residential buildings of the region and locates the building in the alpine cultural area. 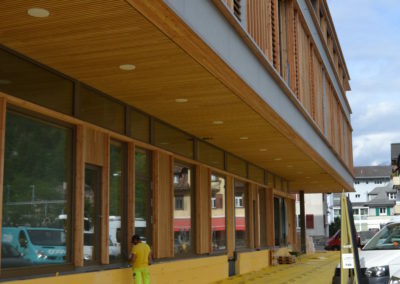 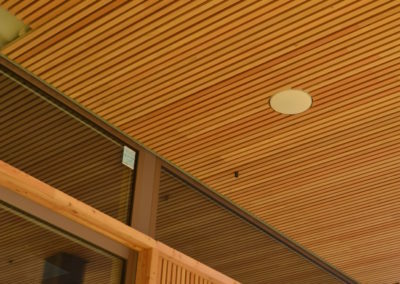 Between the inner concrete structure emerging in the ceiling area and the façade, a wood-glass membrane reacts to the different usage requirements in the storeys. 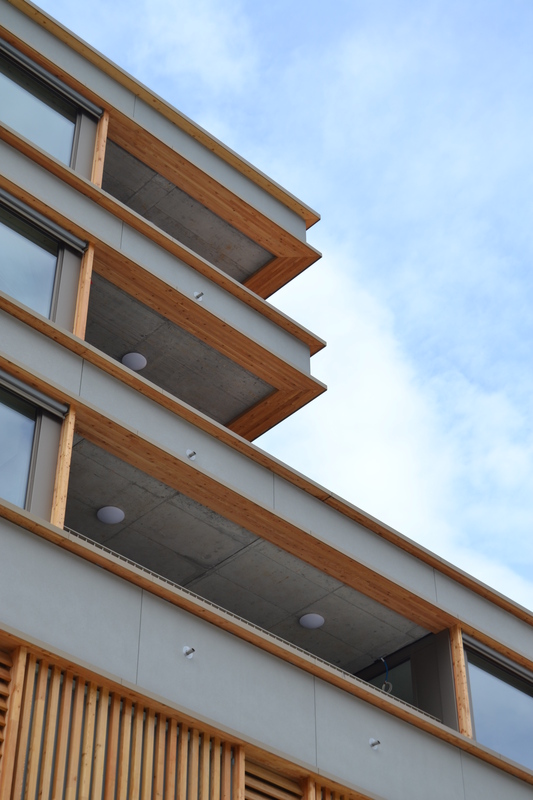 The spacious roof garden on the second floor serves as a recreational and living space for the residents and employees of the “Zentrum Marcau”. 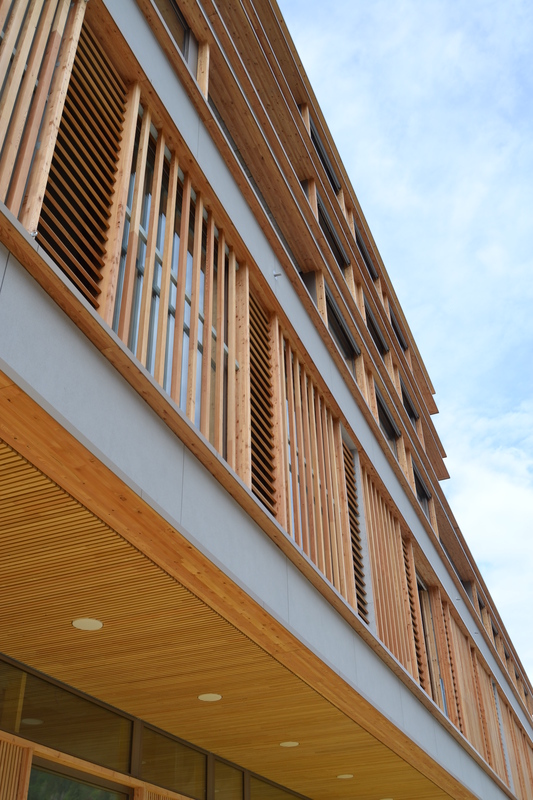 The lush plantation with ornamental grasses, flowering shrubs and small trees on page Post and Bahnhofstrasse extends partially to the edge of the roof. 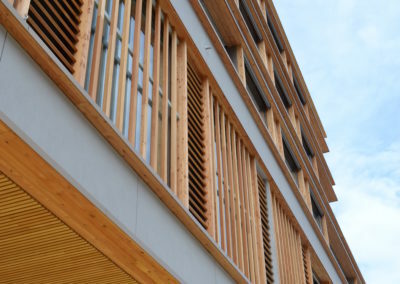 This gives the garden a strong connection to the environment and is also perceived from the outside as an attractive green space.